Golf in the States is extremely popular, meaning there are a vast number of courses to play. Despite the fact that many of the Country Clubs are members only venues, such is the popularity of the sport there is a plethora of semi-private and public courses to enjoy. These are in no way second rate and have often been designed by the world’s most respected architects. 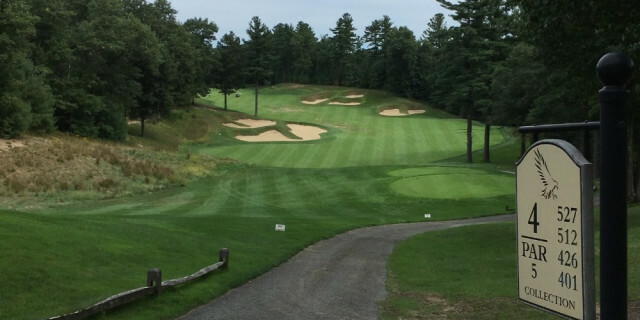 Golfshake's Rob Treanor recently spent time in the state and had the chance to play several of them. 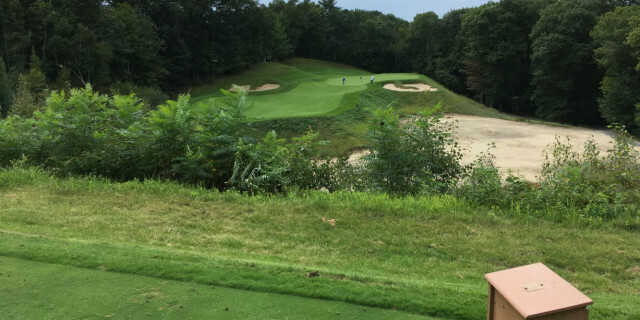 The state of Massachusetts has around 270 golf clubs which range from informal pitch and putt venues up to the very highest level such as TPC Norton where Justin Rose narrowly lost out to Keegan Bradley in the 2018 PGA Tour event. 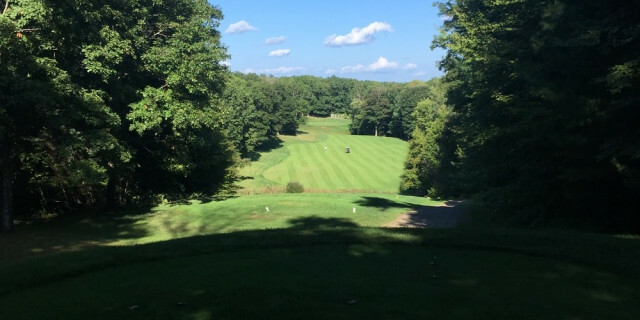 There is plenty of history in the area; the first Ryder Cup was hosted in Massachusetts and the state also has some of the oldest clubs in the country as the East Coast was the first place those eloping from Europe would land. Because of this positioning on the Eastern Coast of the US, the are experiences some beautiful seasons as well as very contrasting temperatures. Winters here can be bitterly cold and harsh with a lot of snowfall, though the summer months are hot and sunny. This makes golf a three-season sport with the best conditions typically found in Spring and Autumn when the temperatures are warm and mild with attractive scenery framing the fairways. The courses are dramatic in this part of the world, with stunning natural features, thrilling holes and some pretty exotic wildlife. Beavers and turtles are commonplace and we also saw a hungry looking coyote stalking a flock of wild turkeys! The locals are extremely welcoming so don’t be surprised if you end up being invited for a drink by those you meet on the course and even meet to play them again the following week! Of all the courses I played, Red Tail was the most spectacular and thrilling to play. The 18th hole is absolutely outstanding; a truly breath-taking and special hole which will stay with me for a long time. Aptly named “Temptation”, this striking par five plays steeply downhill towards a green guarded by a huge lake, meaning the opportunity for drama is vast. My own approach just made it over the trouble, but spun backwards and bounced off a rock before falling into a waterfall and passing downstream slowly into the lake. This sequence of events took around 30 seconds to unfold and the group I played with were in stitches watching the pantomime play out! As well as the breathtaking finish, there are many other fine holes across this top-quality course. The course is set in a dramatic valley meaning the fairways twist and turn around the hilly terrain. There is plenty of sand around including some forced carries from the tee. The course is named after a bird of prey which is often seen in the area and not unlike a Red Kite. The setting here is one of the most beautiful I have experienced. At just over $100 for a weekend round, it was at the more premium end of the courses I played but ultimately it proved good value because of the drama, the setting and the quality of the course maintenance. I instantly wanted to play it again… particularly the 18th! This is a special place. Passing through the gates is almost like heading back in time 100 years as this is a club which cherishes and holds onto traditional values. A Donald Ross design, the quality of golf is demonstrated by the club hosting the inaugural Ryder Cup as well as US Opens for both the men’s and women’s games. The course nestles within fairly open surroundings, with attractive vantage points from many of the raised tees. The quality of the architecture is demonstrated that as the hole unfolds there is a level of intimacy offered by the way the ground moves to isolate the hole being played from its neighbours. Raised greens which offer up to three tiers set up a stern challenge though the quality and consistency of the surfaces offer some reassurance. Quality is the phrase which best captures this esteemed venue, there is definitely some magic in the water here. The club prides itself on holding onto traditional values with one quirk being that player’s smart shoes are given a clean and shine by the outstanding staff whilst they enjoy their round. Charmingly, there are no prices on the guest menus in the restaurant akin to Paris in the 1940s. To experience Worcester Country Club is to truly taste 5 star golf, hospitality and traditional values. The club is privately run so to play it you’ll need an invitation from a member or to become one yourself. 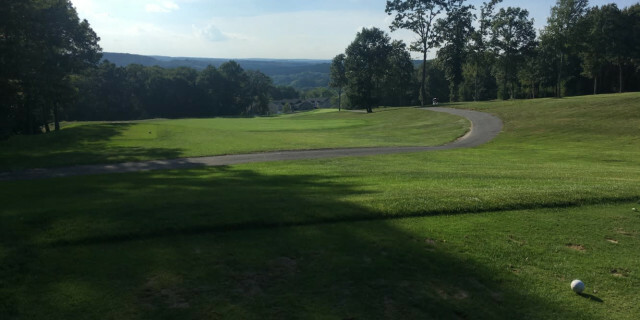 A Rees Jones designed course; Blackstone is set in a beautiful national park meaning there are spectacular views and wildlife to enjoy. Dramatic contours frame this very attractive course which sees golfers navigate up, down and around as the terrain passes through a valley. Every hole is different and appealing in its own way, with carries over escarpments, water protecting greens and hilly terrain acting as defences. The food, welcome and service at Blackstone was amongst the best of the courses visited, with a very friendly group of staff presiding. The course condition was also at the top end meaning this is a very good value course to play! Uniquely for the area; Highfields is a resort style course occupying a tranquil setting in an upmarket neighbourhood. The course features water on many holes, with the standout being the par 4 twelfth. The hole winds to the right around the lake forcing a decision on the tee box about how much to try and cut off on the approach to the narrow fairway. The par 5s are all strong; including a welcoming opening hole, 9th back to the clubhouse and a challenging final test. A pair of downhill par 3s sited close together require little more than a flick of a wedge, but both play delightfully differently. Missing either in the wrong place can be very costly indeed. This was a great course to play on a Sunday afternoon when the New England Patriots were playing, meaning the course was quieter than usual for a weekend. The green fee here is good value and the onsite food is worth sticking around for too. Winner of many awards since its opening in 2010 such as “Best New Golf Course” and “Best Public Golf Course” by well-respected American publications. As is typical of the area, the course sweeps and winds through dramatic terrain. There are several unique features such as a split fairway and a huge rocky outcrop which divides two holes. There is more than 250ft of elevation change and though I did walk (I am fairly fit and found it ok), many will find a buggy a more comfortable option. The course is lots of fun to play, with water to negotiate on several holes, a risk reward par 5 with a ravine to cross and a tempting, driveable par 4. The food at the clubhouse was particularly good here and after the undulations you’ll have covered, some refreshment is very likely to be required! The standout hole on the front nine is the stroke index one, fifth hole. This par five dog legs to the left before descending steeply towards the green. The fairway is further dissected by a stream and wasteland meaning the approach into the green is as dramatic as it is stunning. There are some large marshy areas which displace the fairway on holes 13 and 16 where it can be tricky to judge the distance to the pin. The outcome is also held in suspense until you pass these natural hazards and reach the short turf to find out where your ball ended up! The signature par 4 18th means the course finishes well. Tee shots to the fairway benefit from a kick forwards which is handy because a daunting approach over water awaits. The green is elevated from the fairway making club selection a little more tricky, though this is sure to make for a memorable finish. At $30 for a weekend round this was an excellent value course to play. There is an enormous driving range to warm up on which is handy because many of the holes are tree lined and require a good level of precision off the tee to benefit from the ideal line into the green. Donald Ross designed this course and consequently greens are rarely sited on the same level as the fairway. The clubhouse has framed and on display the original sketches showing how the course was designed and laid out. This unique feature make it well worth popping in for a local brew (the Wally IPA is excellent) following 18 holes. Sited on a 300 year old farm estate, this is a tranquil and lush setting for a course. 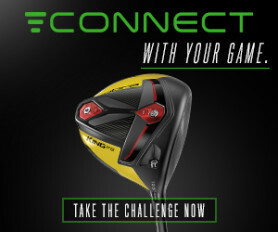 For much of the round the big stick can stay in the bag, as precision not length is required to score well. Many of the fairways are tree lined and can be tight in places, making positioning key to stay in play. There is a historic silver mine with the shaft still visible on the par 3 13th. This signature hole plays over a valley towards a large green. Like many of the holes in this part of the world, this is a beautiful hole though more than a little intimidating given the escarpment which has to be cleared! 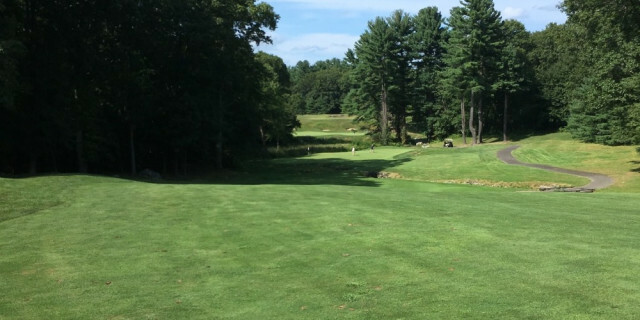 Americans love their golf and the courses in Massachusetts are well placed to deliver entertainment and excitement both on the course and in the clubhouse afterwards. Because the style of course and the golf required to play well is quite different from Europe, it makes for a very interesting destination to experience. There are some very accommodating features such as the majority of courses having free water top up stations on the way round, roving carts offering refreshments and the hospitality from the locals will ensure you have a good time. Renting clubs locally from a provider such as Clublender can take some of the hassle out of your travel plans and makes playing one of two rounds of golf as part of a longer trip very accessible. I hadn’t played golf in this part of the world before but I found a sport that was thriving amongst a passionate and very welcoming population. I can’t wait to give some of my new friends a call to arrange a game the next time I’m there!